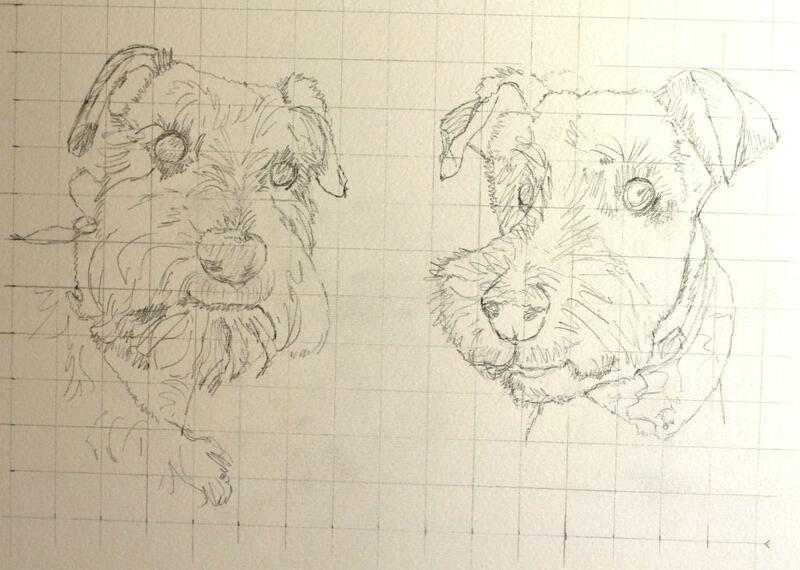 I have been able to start on the first of my commissions this week- the dog one. 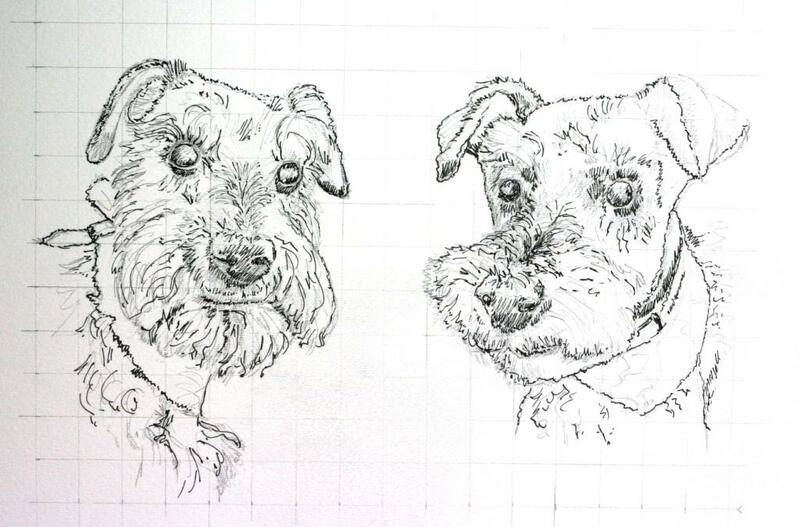 I am putting two miniature schnauzers onto the same board so I have to work on both at once. I did do those three red vizslas dogs at once a while back so I have done this before, but these are hairy guys and I need to get that right. I started the pencil up Monday and worked on it some since then. I like the left one more than the right. The right guy has a little too much of Lady and the Tramp in him yet, so he may have to sit a while for me to gain some perspective. The inside eye is is almost totally in shadow in the photo so I will have to kind of fake that, but I am more concerned with their whiskeryness. I don’t want to overdo or underdo the wiry hair with the inks. We shall see. 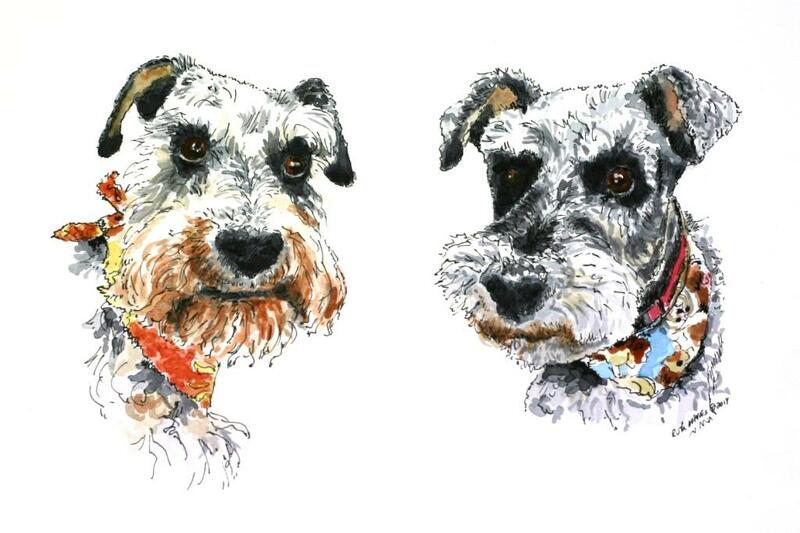 They both also have cute scarves around their necks which will liven up the colors from the basic grays and browns.